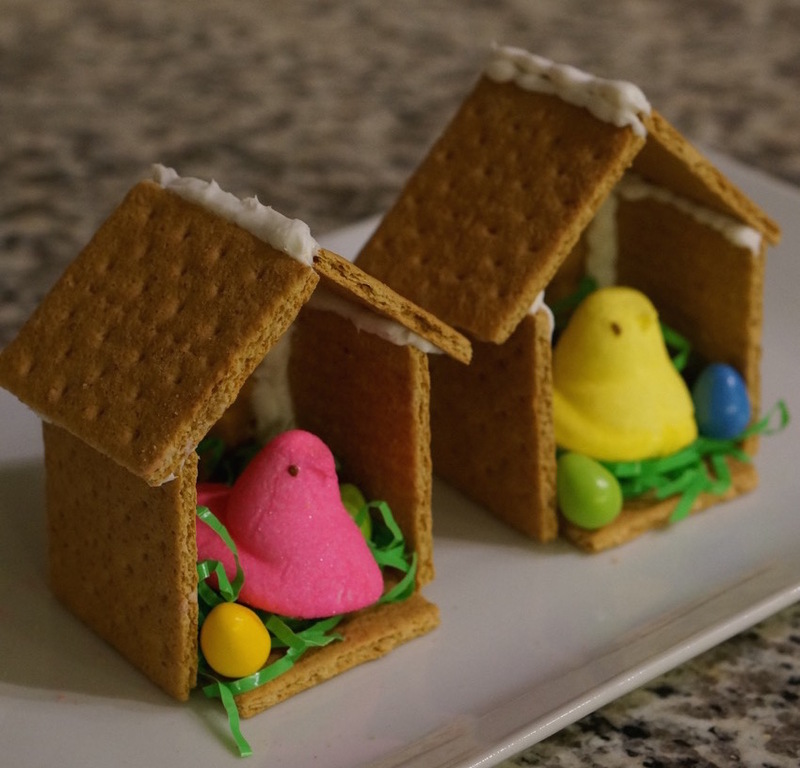 It’s almost Easter, time to break out the colorful marshmallow peeps, and what is a cuter Easter craft than making a little home for your little marshmallow chicks. This easy shenanigan is perfect for little ones of all ages and makes an adorable table decoration at your Easter dinner. 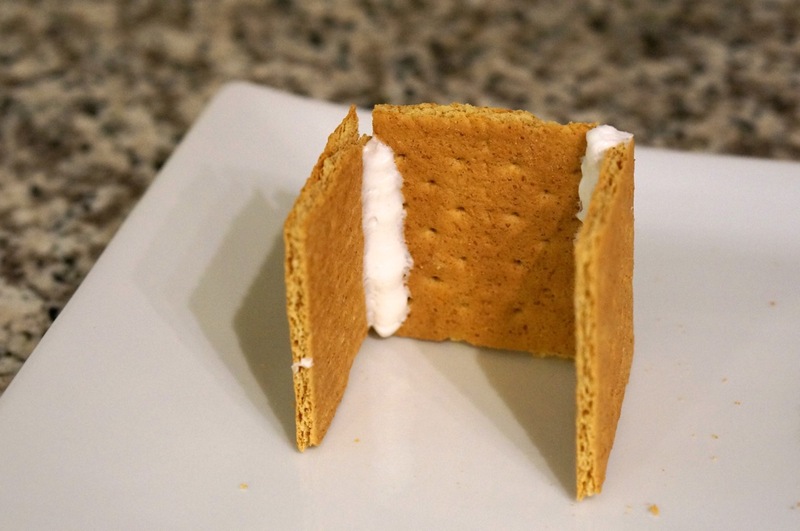 1) Break your graham crackers in half. 2) Put icing in ziplock or piping bag. 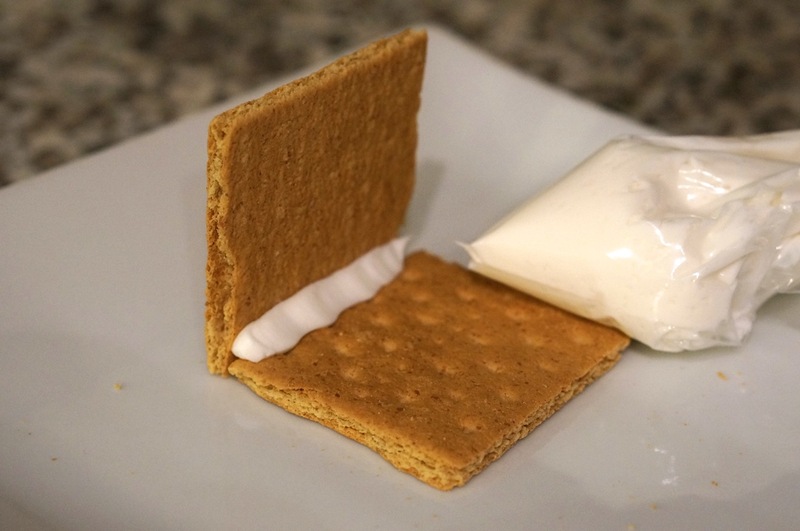 Hold the crackers perpendicular to one another and use icing to stick them together. 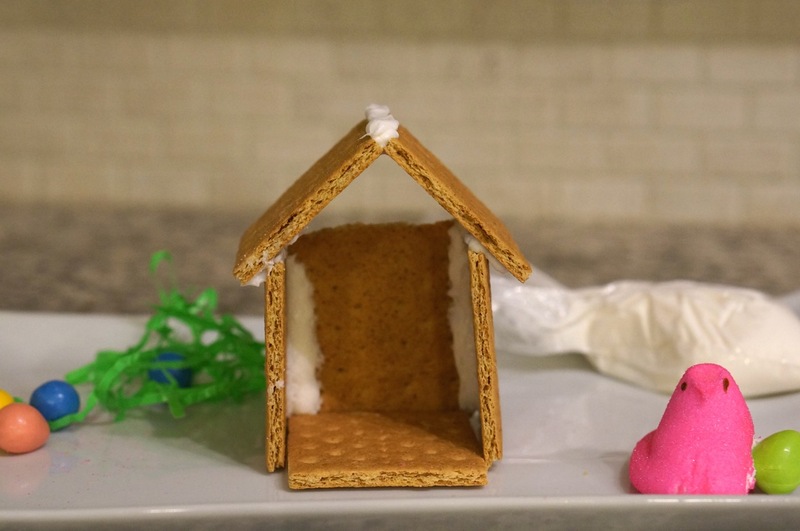 3) Add your grahm cracker roof and flooring. 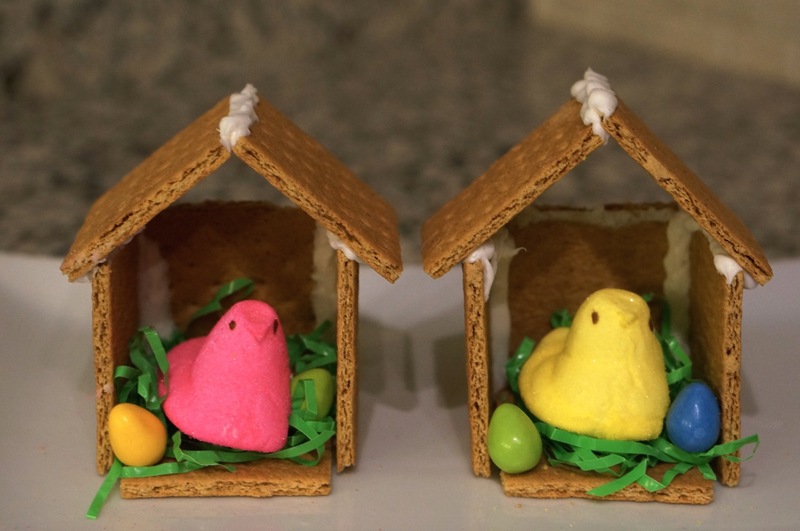 If you want your entire coop to be edible, be sure to use coconut shaving instead of Easter grass. All you have to do is put your coconut shavings in a bag, mix your food coloring in a couple teaspoons of water, add it to your shavings, and shake until it is an even color. Check out my Easter Cake Recipe to see how to make it. 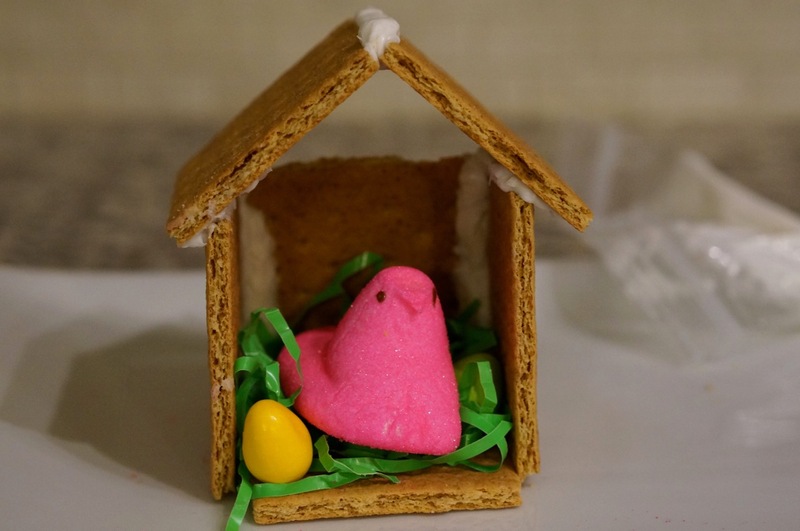 4) Fill your peep coop with your Easter candies. 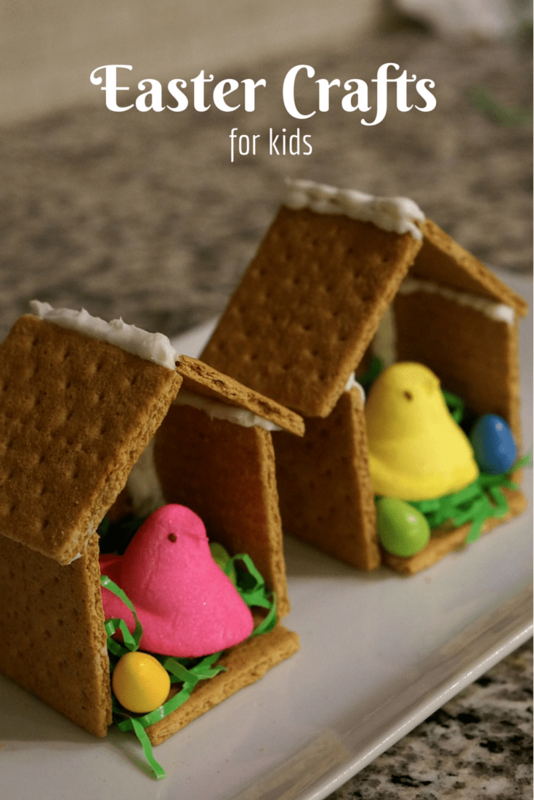 These turned out adorable and are a perfect Easter Craft for kids! 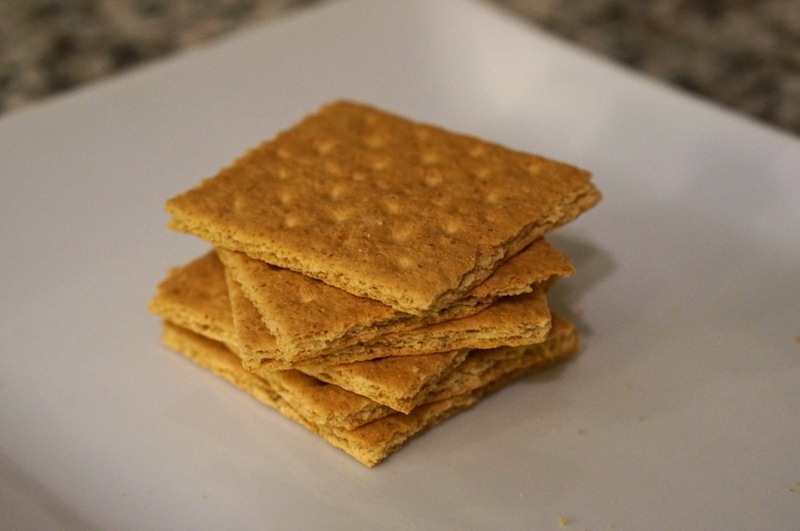 They are almost like a fun Easter s’mores (since you have the graham cracker, chocolate eggs, and marshmallows). If you make them, be sure to share a picture on my Facebook page or Twitter, I would love to see them! 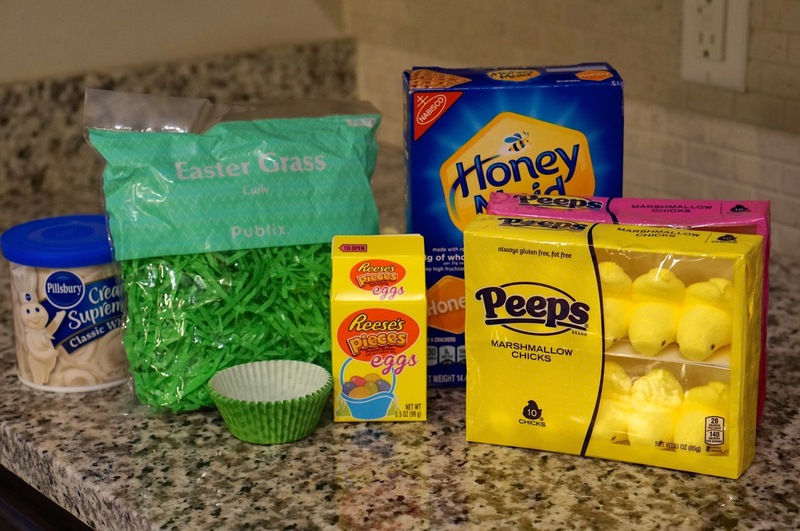 Also check out my no-bake Easter Cake recipe!